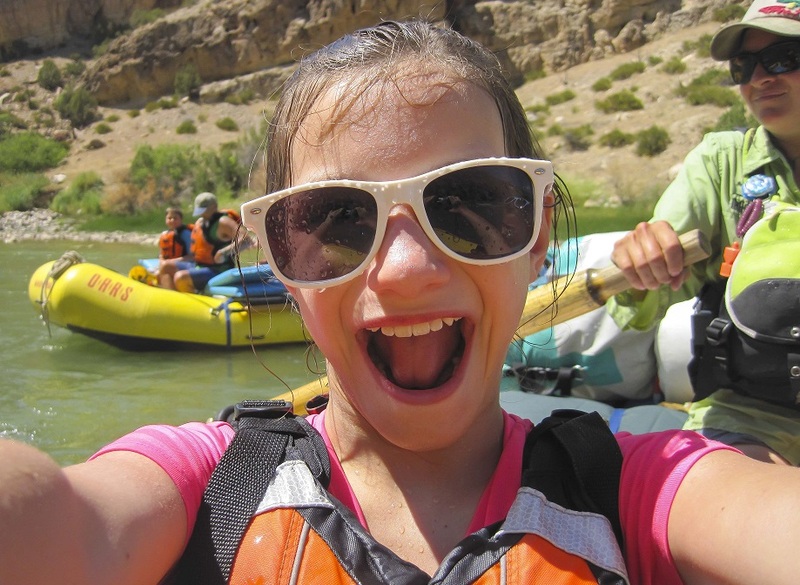 We could wax on here about why family rafting trips are the perfect vacation. 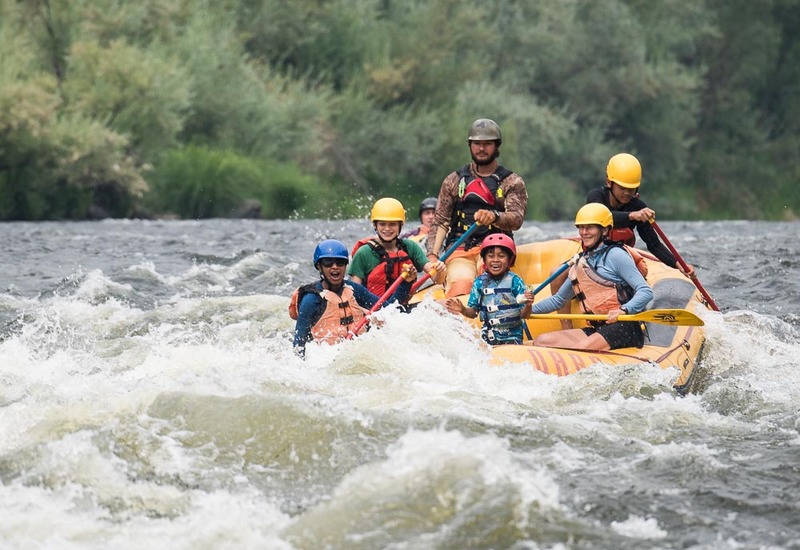 Or try to ease your fears if you’re nervous about taking your kids rafting for the first time. 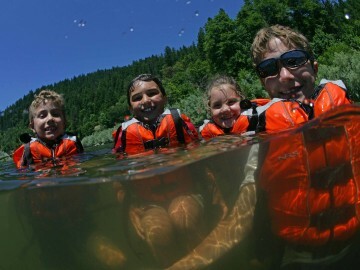 This post, however, is for parents (or grandparents) who are ready to take your family on a multi-day river trip but not sure how to choose from all the options out there. 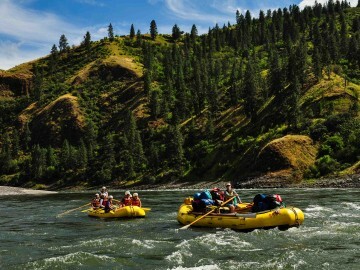 Narrowed down by age, these five family-friendly rafting trips in the Western U.S. are some of the best of the best. They’re all big on scenery, offer great camping and off-the-water activities, and have just the right amount of whitewater action. Whichever trip you pick, one thing is for certain, this is the family vacation your kids will be talking about for a lifetime. 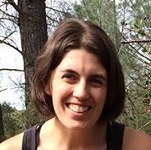 The Lower Klamath River in the far northwestern corner of California is ideal for families with little ones. This scenic, forested river trip offers fun, bouncy rapids that are a perfect introduction to whitewater. 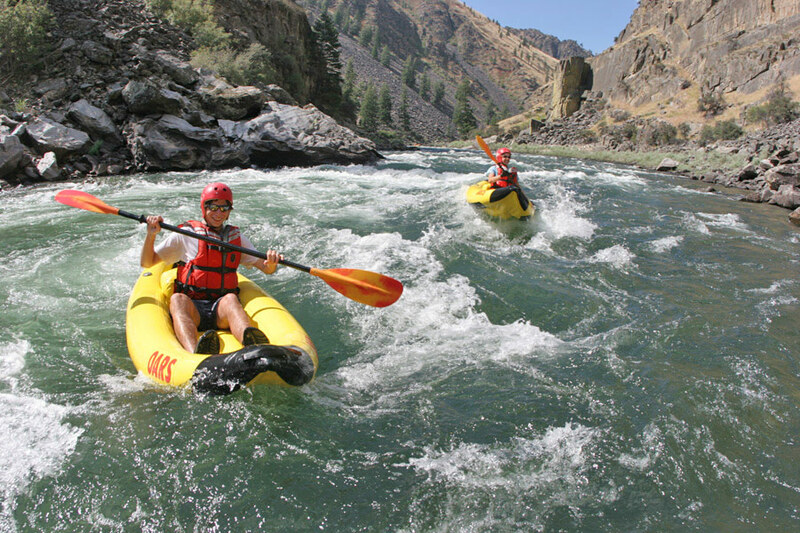 The Klamath’s signature warm waters also make swimming, inflatable kayaking, rock jumping and beach time the highlight of this adventure. 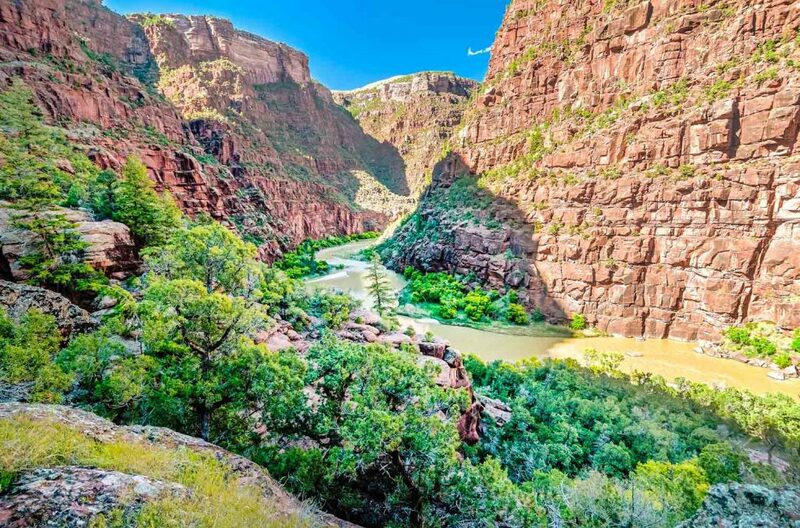 On this Rocky Mountain adventure, your family will raft the Green River through the heart of Dinosaur National Monument. 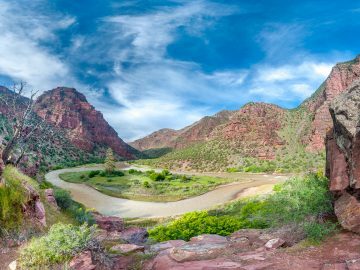 Arguably the most beautiful Utah canyon, with scenery that rivals the Grand Canyon, expect to see lush vegetation along the banks, vibrantly colored slickrock sandstone cliffs where bighorn sheep graze among dinosaur fossils, and Wild West artifacts. Along the way, enjoy fun, splashy whitewater, inflatable kayaking, gorgeous side hikes to hidden waterfalls and comfy beach camping. This is the ultimate beach vacation deep in Idaho’s pristine wilderness. 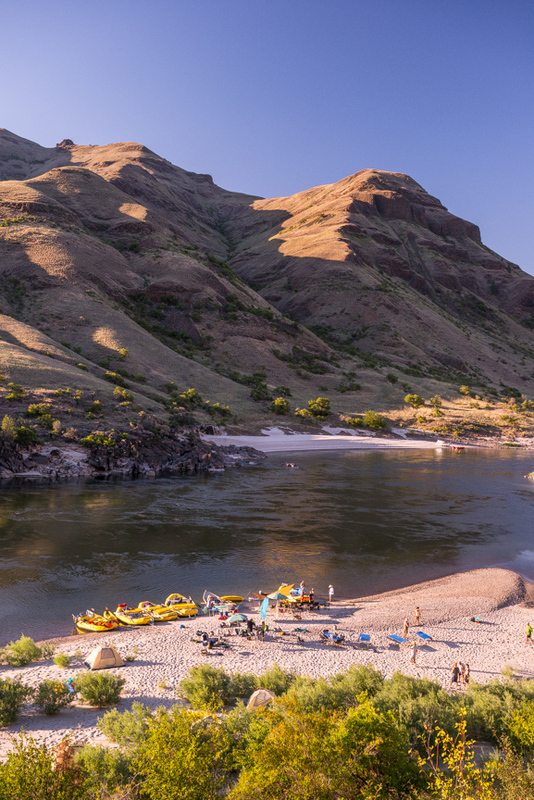 The Lower Salmon River offers fun, exhilarating rapids through four distinct gorges, camping on huge sandy beaches and epic stargazing in some of the darkest skies in the nation. 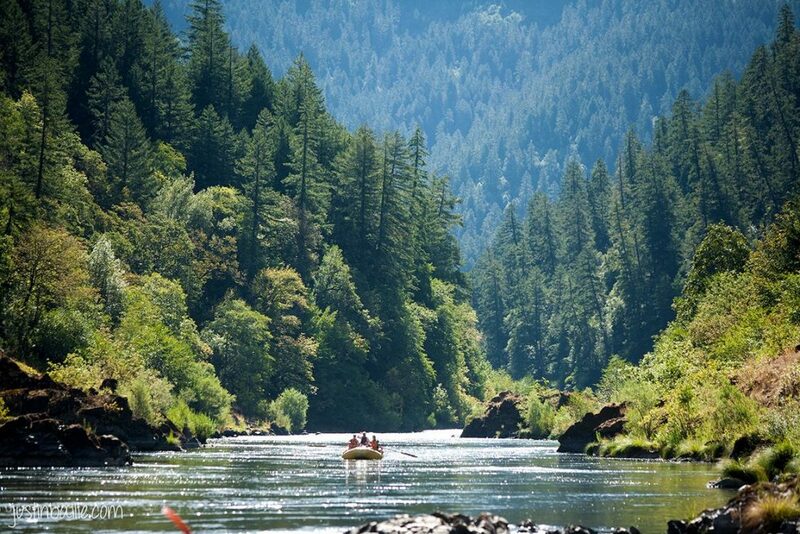 The ideal stretch of river for a fleet of boats, including paddle rafts, dories, inflatable kayaks and stand up paddleboards, means everyone can choose their own adventure level on this family rafting trip. 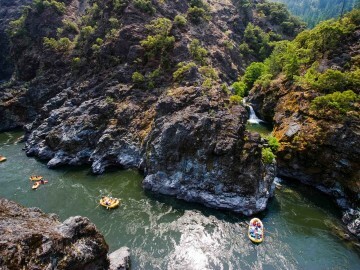 The Rogue River in Southern Oregon is a beloved rafting trip by paddlers of all levels. There’s picturesque forest scenery, the dramatic gorge of Mule Creek Canyon, and abundant wildlife viewing. 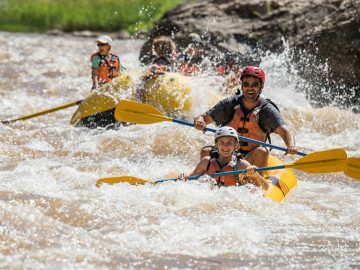 Combine that with beautiful river camps, waterfall hikes, old miner artifacts and exciting rapids like Grave Creek, Rainie Falls and Blossom Bar and you have a family adventure that serves up action alongside beauty and cultural history. 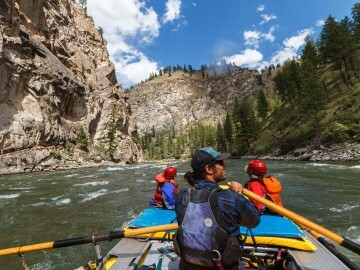 If you want to inspire a life-long love of the outdoors and adventure in your older kids, a bucket list destination like Idaho’s Middle Fork of the Salmon River is the way to go. 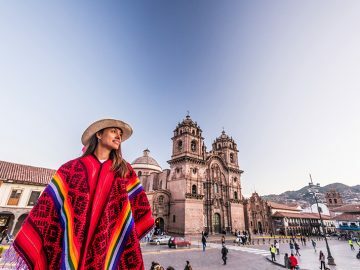 With complete wilderness immersion, dramatic mountain scenery and more than 100 rapids in 100 miles, this adventurous trip offers up tons of excitement for the whole family. 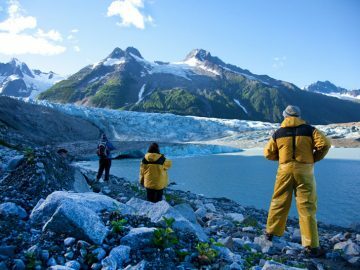 By day, you’ll raft or inflatable kayak through alpine forest and granite canyons, hike to waterfalls, soak in hot springs and fish for trout. By night, enjoy complete solitude as you camp deep in the heart of Idaho’s majestic Frank Church “River of No Return” Wilderness. Looking for more outdoor family vacation inspiration? Check out: 25 Unplugged Vacation Ideas the Whole Crew Will Love.